While it wasn’t the first handheld game system, the Nintendo Game Boy was the first one that really mattered. Despite the limitations of its green and grey LCD screen, it offered up a smart design, and some truly addictive games. While you can still pick up a classic Game Boy on eBay starting around $25, it’s not the sort of thing you’re going to carry with you every day. 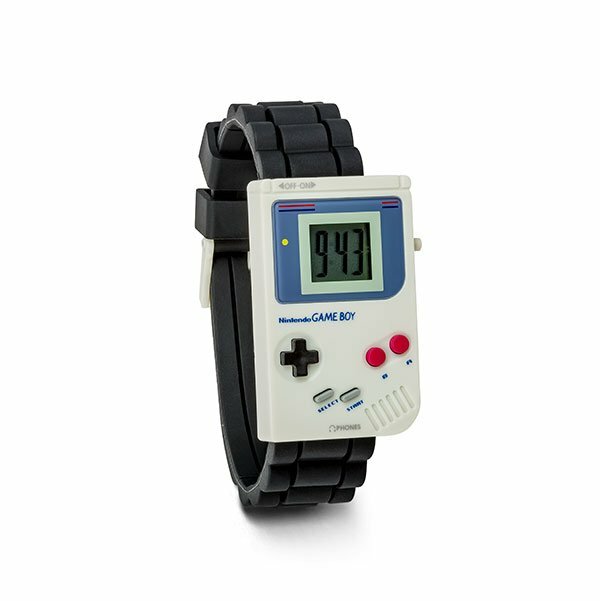 On the other hand, this fun gamer’s wristwatch lets you have a Game Boy on your person all the time. This officially-licensed Nintendo watch looks exactly like the classic Game Boy, just shrunk down to wrist size. It would have been super cool if they made it play games, but alas it simply tells the time on its LCD screen. The face buttons are just there for show too, and you set the time using a button on its side. Still, it looks neat, and is a fun tribute to a classic gaming system of yore. If you want one, drop by ThinkGeek, who has the exclusive on these for just $14.99(USD).